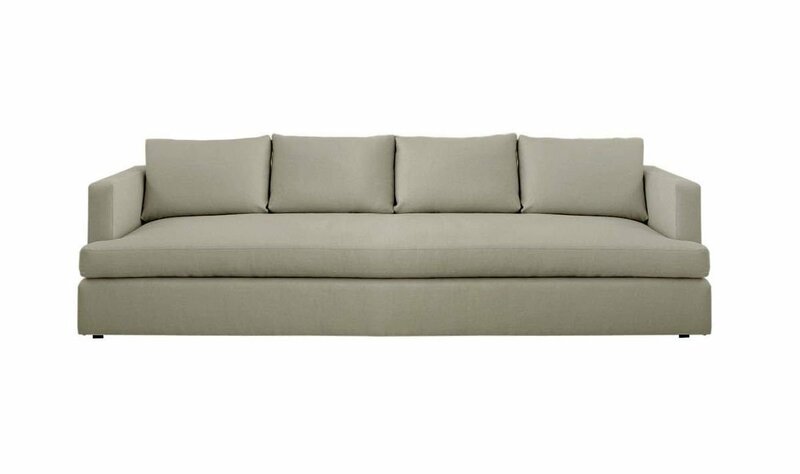 Restoration Hardware inspired, Estmont sofa is our modernized and improved version of Easton sofa. It features deep ultra low frame with 2” invisible legs to create floating look (optional), petite shelter arms to maximize the seating space, plush top stitched back pillows, and contemporary bench seat (optional). 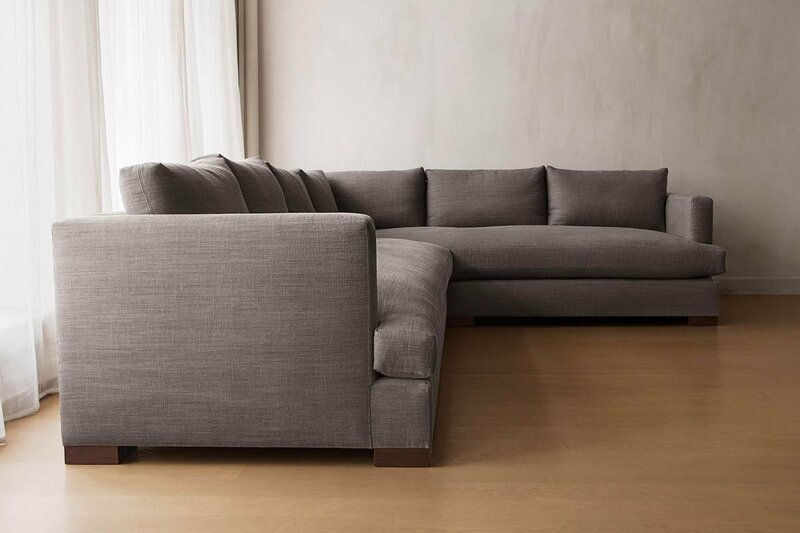 Estmont sofa can be ordered as slipcovered, an upholstered with a skirt, as a sleeper, in custom size, as a sectional in different configurations, choice of cushion fill and firmness, leg style, and fabric. Please submit Request Custom Quote Form for custom pricing and special requests. If you have a difficult area to design for, want to go COM, or just want an exclusive, different design, please, call Customer Service (214) 984-4128.